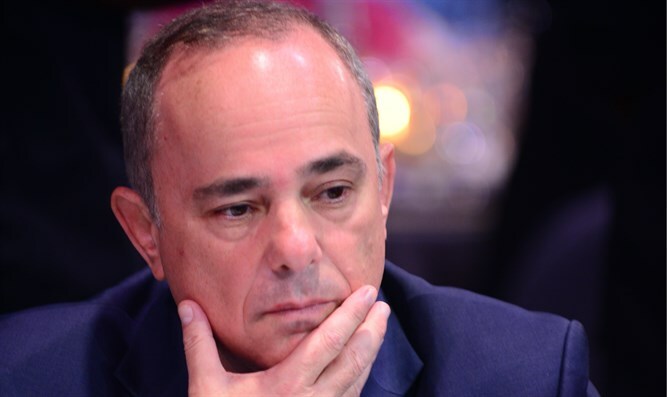 Energy Minister Yuval Steinitz (Likud) says it is possible to reach an agreement with Hamas in Gaza without the return of the bodies of IDF KIA Hadar Goldin and Oron Shaul. "In a proper country there are cease-fires and arrangements; of course we want to return the dead bodies home, but our national security policy shouldn't be captive to this," he said in an interview with Ben Caspit and Aryeh Eldad on 103 FM. "In the Yom Kippur War, we had prisoners and bodies of soldiers in Syria, but we did a cease-fire. Eli Cohen's bones never returned to us, but we didn't say 'until they return, there'll be no cease-fire'. With enemies one makes war and declares cease-fires and makes arrangements when that's what's right. I believe we will succeed in bringing back the bodies of the soldiers," Steinitz added. "Obviously, there's no reason to go to war if we don't have a real goal that we want to achieve," he stressed, "Every war has costs, and when you have no real goal, it's better to reach a cease-fire and a settlement without a war. I've thought in the past that the Gaza Strip must be conquered in order to bring down Hamas. At the moment there is no such decision and I am not sure that it's right." The Minister also registered his protest against the initiative mandating the death penalty for terrorists and pointed to the damage the law would cause Israel's image. "I take responsibility for stopping the death penalty for terrorists. The death penalty will not be promoted until there is a discussion about it and a cabinet decision. "This law would be the biggest victory of the terrorist organizations over Israel. We won't allow ourselves to self-inflict damage over this issue, nor are we about to execute anyone - this is all politics. The Shin Bet, the National Security Council, and the Attorney General agree with me that a death sentence for terrorists would result in damage to Israel's image, and it would be tremendous in the wake of this thing." When asked about the struggle over the infiltrators, Steinitz replied, "I'm definitely in favor of a limited and focused expansion clause on the issue of infiltrators so that a certain majority in the Knesset will be able to overcome the issue and resolve it. I would note that what Justice Minister Ayelet Shaked is doing in the Supreme Court today only increases trust in the judicial system." Steinitz also addressed the question of the general elections and their timing. "Netanyahu is the man who'll decide about the elections. He holds the cards close to his chest and it's not certain if even he can read them."